The monthly consolidated remuneration of Consultants is Rs.40, 000-50,000 per month. Persons should be retired employees of Central Government/State Government/PSU/Autonomous body/University having considering experience of Internal Audit and Finance Matters. Should have good communication and interpersonal skills, fair knowledge of computer applications such as MS word, MS Excel and Power Point etc. Should have expertise in noting/ drafting, budget/ accounts, office procedure, etc. Persons retired from Indian Audit and Accounts services or similar background will be given preference. Interested applicants may send their applications in the prescribed proforma (downloaded from the website) along with supporting documents to The Administrative Officer (P), Inter-University Accelerator Centre, Aruna Asaf Ali Marg, Post Box No. 10502, New Delhi – 110067. The envelope containing the application should clearly labeled as “Application for the post of Consultant. Incomplete applications will be rejected. Last date of receiving applications is May 30, 2019. Consultant Vacancy – Last Date 30 May 2019 (Delhi) Inter University Accelerator Centre (IUAC) recruits Consultant Posts. Candidates with Graduate, Post Graduate can apply. Those who have Ph.D. degree (or submitted thesis) in the areas of experimental research in following disciplines can apply. 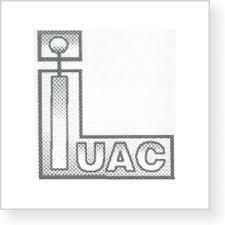 Research Associates Vacancies – Last Date 03 February 2019, Inter University Accelerator Centre (IUAC) recruits Research Associate Posts. Candidates with Ph.D. Degree can apply.